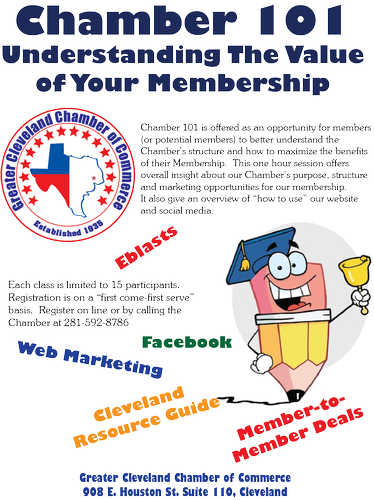 Chamber 101 is a 1 hour, fast pace opportunity for you to learn about the Chamber and the most effective ways for maximizing your chamber benefits. We provide a complimentary lunch but reservations are required. Classes are limited to a maximum of 15. The 4th Wednesday of each month. This is a free event to members and prospective members. Class must have at least 5 participants.